If you are itching for spring and running season, take care that you start slowly if you’ve been sedentary during the winter. A Rocky Mountain Road Runner marathon training session or even a 4-mile City Running Tour may be too much activity for your unconditioned legs, leading to Achilles tendinitis and putting off your spring running plans for weeks as it heals. Whenever you subject your feet and legs to sudden trauma or repetitive motion that they are not used to, you risk damaging the tendons at the back of your ankles. Your Achilles is pretty strong, but it is not invincible. Forcing it to move before it is ready, or for longer runs than usual, can strain the tissue, causing it to become inflamed, irritated, and painful. There are two types of this inflammation. Non-insertional tendinitis occurs above your heel (3-4 inches from the floor) in the middle portion of the tendon. It happens more often in young people who are active and overuse the tendon, causing the fibers to break down. Insertional tendinitis happens a little lower down, where the tendon inserts into your heel bone. You are more at risk of this as you age, because the Achilles tends to degenerate as you get older, and because you may not be active on a regular basis anymore. Suddenly increasing your activity at this stage is a problem. Both types of Achilles tendinitis can result in calcium deposits that form bone growths or spurs. These put even more pressure on the tender tissues, causing irritation and pain. Knowing why your Achilles gets irritated can help you prevent this painful condition. If you haven’t been active, walk before you run—literally. 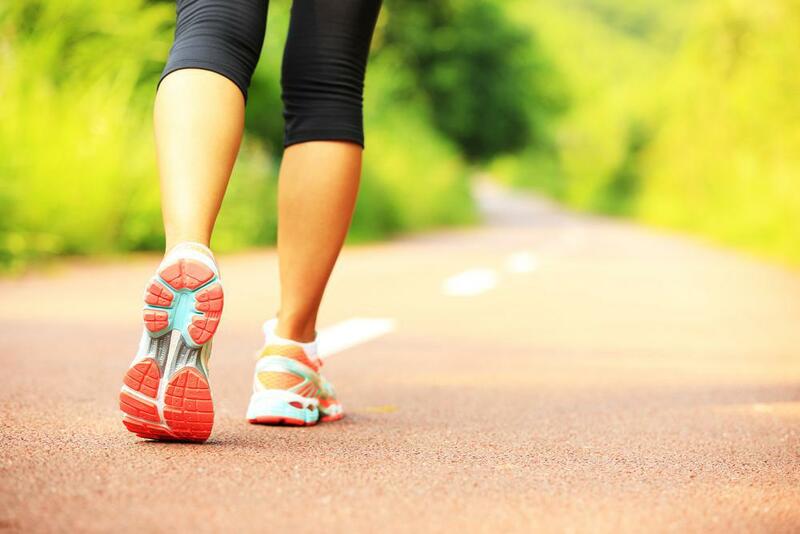 Start with a walking program and gradually intersperse short periods of jogging to build up conditioning. As you get in shape, you can shorten the walking and lengthen the running times, and after a few weeks be able to run the whole time or distance. During this time, keep to a stretching routine that loosens your calf muscles and strengthens the tendon. If you need help setting up a safe running program, or already have Achilles tendon pain, contact our staff at Rocky Mountain Foot & Ankle Center for help. You can call (303) 423-2520 or request an appointment right on our website. We’ll do all we can to help you safely transition into your favorite spring activity.